St Patricks day is in just a couple of weeks so I thought I would give you guys a little St Patricks Day cupcakes round up. Who does not like a good cupcake? My family loves when I bake holiday themed desserts, my kids especially love cupcakes. Weeks leading up to any holiday, and I mean any holiday they always come home from school scouring for a specialty holiday dessert JJ and I made that day. It’s so fun to surprise them and we have fun making them together. Ill probably ask my daughter which one she wants me to make. Bri was born just a few days after St Patricks Day so she is known as my spring/St Patricks Day baby in our house. She still at 8 years old thinks of this as “her holiday”. Each of my kids are all born within days of a holiday so they all have a built in theme lol. 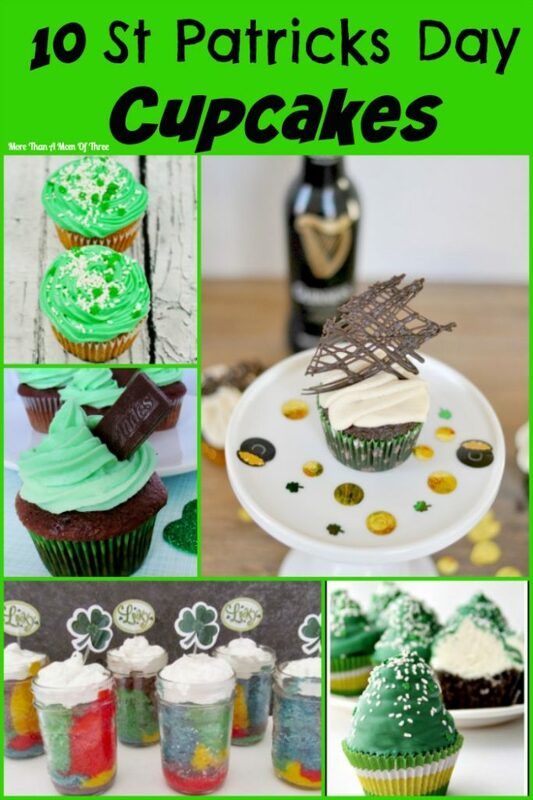 These 10 St Patricks Day cupcakes are full of fun flavors and colors. I have some traditional greens colors going on with a mint flavor. Of course some rainbow color themed ones complete with adorable mason jar presentations. Plus a few out of the ordinary ingredients that I though would be fun to try. One especially for the adults, now that is my kind of cupcake no matter what holiday we are celebrating! I bet you know which one I’ll be trying first. Which St Patricks Day cupcakes would you like to try from the list? 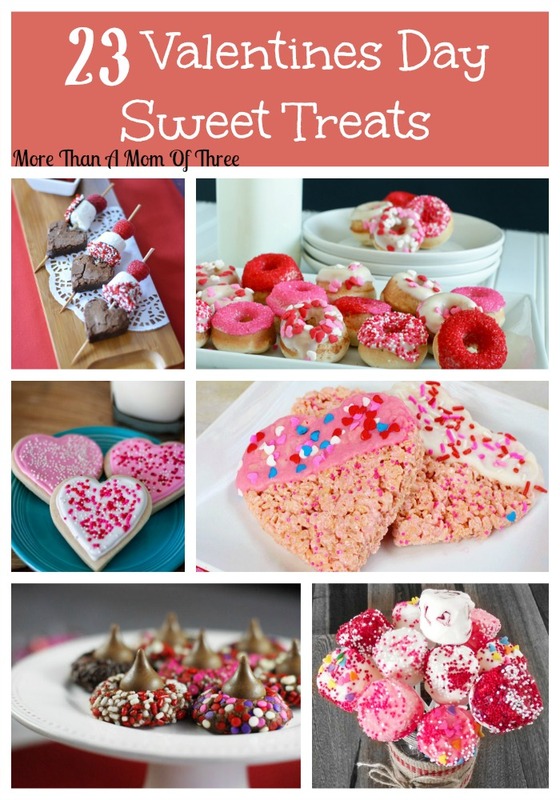 Valentines Day sweet treats are so much fun to make and to enjoy. I try to get my kids in the kitchen with me as much as possible especially with holiday baking. They are always willing to help when they know at the end the get to sample a special taste of their delicious dessert creations. If only I could get them to help out around the house as fast as they volunteer for baking with me. It’s funny how that happens, huh? This year I wanted them to pick out one recipe they would like to make with me for Valentines Day. So I made a little round up of the best 23 Valentines Day sweet treats for them to look over. They have their different tastes so I made sure I included something different I thought they would each like, hmm and maybe a few for me and my husband. Whether you are baking these Valetines Day goodies for your kids, your sweetie or just yourself I am sure there is something on the list for everyone this Valentines Day. What Valentines Day sweet treats are your favorite? Do you bake something special each year for your special Valentines? Christmas treats just make the holidays for me. I love baking special goodies with or for my kids every year. They love to help me in the kitchen and get creative right there with me. 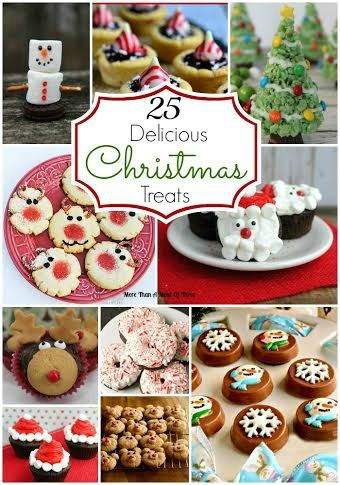 There are so many adorable ideas for some tasty Christmas treats out there, I figured I would find a few of my favorites for you. 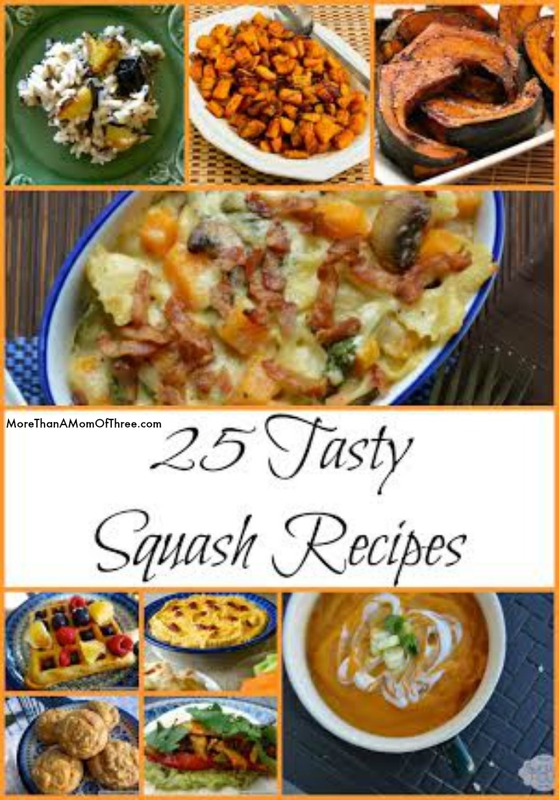 We will be making a few of these this week so we can enjoy them while the kids are home on winter break. 4. Santa Hat Cupcakes From Frugal Mom Eh! 25. Santa Clause Cupcakes From Frugal Mom Eh! 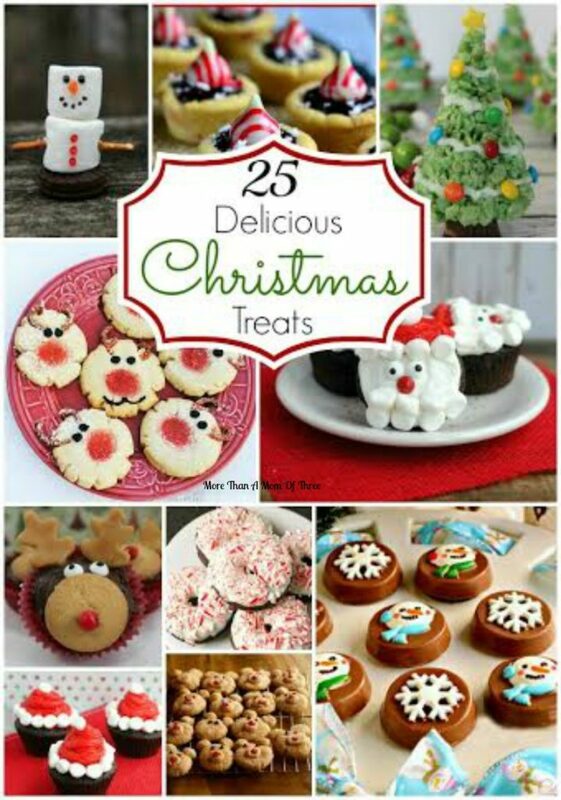 Do you have special Christmas treats you make each year? Let me know what they are in the comments. Thanksgiving will be here in a few weeks and besides the delicious stuffing my family looks forward to the dessert. Especially the pie recipes that come to the table. While we all love the traditional apple and pumpkin pie recipes, I like to mix it up adding something with a twist to our traditional Thanksgiving dessert table each year. 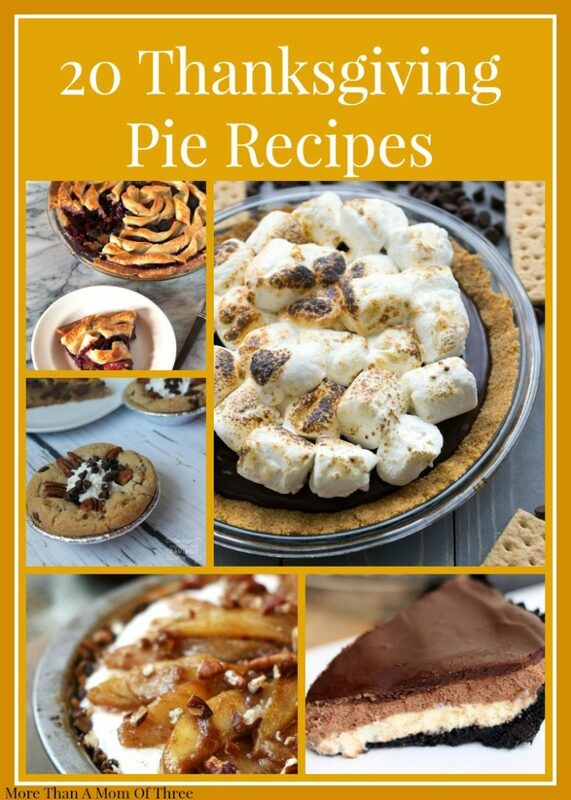 Each of these Thanksgiving pie recipes below add a little something extra for dessert this year. Enjoy! What are your favorite Thanksgiving pie recipes? Stuffing is one of those Thanksgiving must have side dishes. Its a favorite in my house every year. Stuffing recipes do not have to be complicated, in fact you can make delicious homemade stuffing with very little effort. I found 10 of the best stuffing recipes to compliment your Thanksgiving turkey this year, one of them could steal the show at your table. 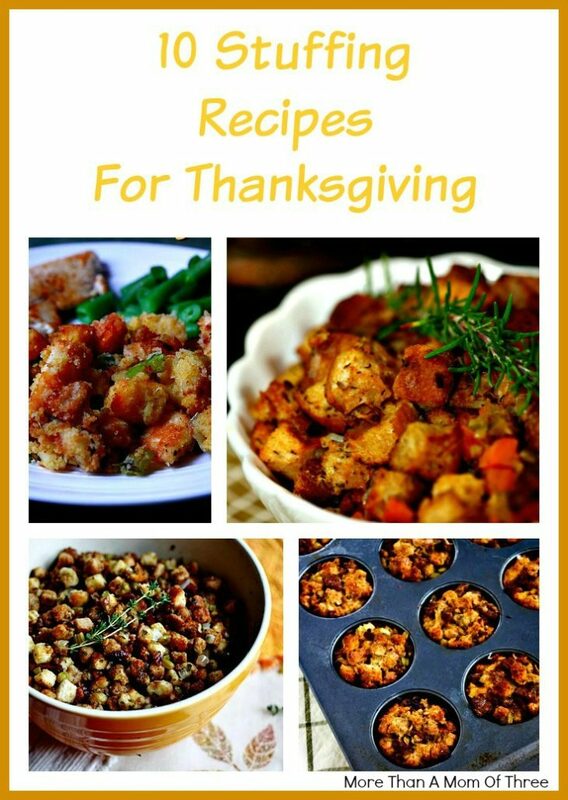 What are your favorite stuffing recipes?